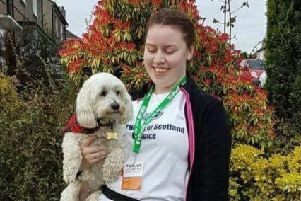 Labour’s candidate for the Strathkelvin and Bearsden constituency has identified health as her major priority - with a particular emphasis on the elderly. Margaret McCarthy, who grew up in Bishopbriggs and still lives in the area, has worked in health for her entire career. She left full time education at the age of sixteen and began work as a care assistant in a nursing home, where she returned to college to gain the entrance qualifications for nursing. She later studied for a BA (Hons) in Social Science, an MSc and a Certificate in Health Promotion, beofre becoming a lecturer and, latterly, working to promote in schools. She now has a remit for older adults and cancer screening and is keen to bring her broad experience to Holyrood. Other pledges include giving parents access to offordable flexible childcare, providing affordable housing and a ban on fracking.